- Soft and comfortable! !100% genuine leather apple watch band. The leather is soft and flexible, requiring very little or no break-in period. This leather strap is undoubtedly the ideal match for apple watch! 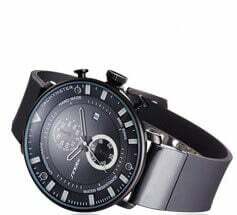 - Band length is adjustable to fit well to your wrist, suitable for 5.5-8.6 inch) wrists. Both men and women are suitable! 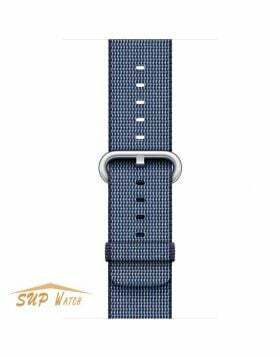 - The buckle is made of solid stainless steel, also the clasp pin is enough stable and long, never worry about the middle pin in the buckle disengages easily. Secure your apple watch with impeccable yet unpretentious style. 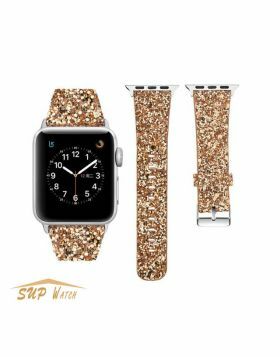 - Bring some color to your life with our Best Apple Watch Leather Bands. Practical, fashionable and affordable! With more than 5 colors to choose from, you can’t go wrong with choosing this apple watch leather band for your collection. - This new leather band is perfect for those looking to secure their Apple Watch while enjoying outdoor activities or lifestyles. Question:Are different colors different materials? 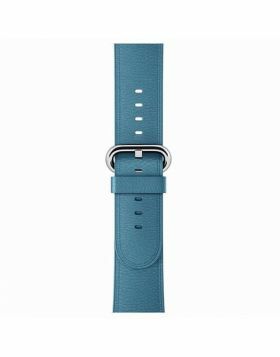 Question:What is the exact length of the leather apple watch band.